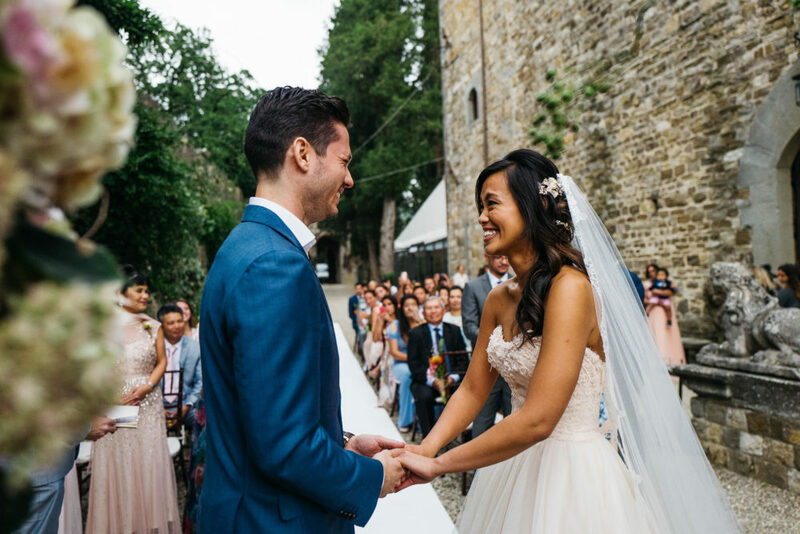 This elegant Italian wedding is spine tingling good. 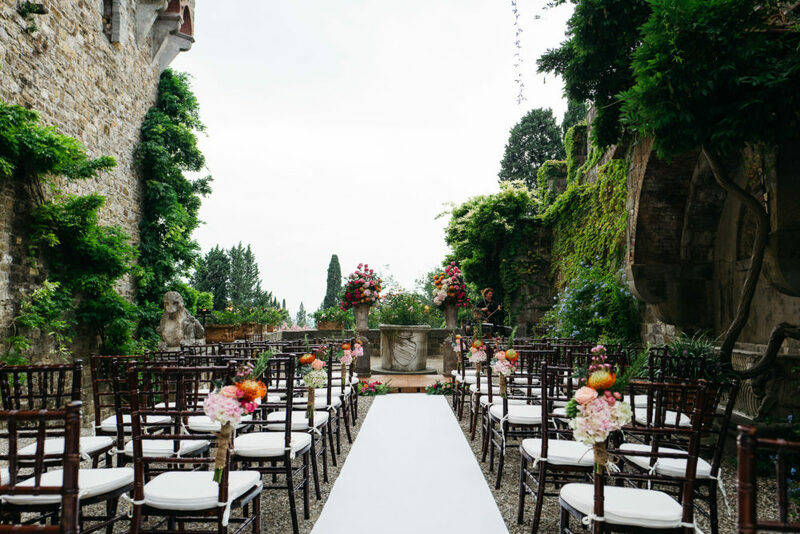 Taking place at Vincigliata Castle in Tuscany surrounded by gorgeous scenery, colourful flowers, candles and love. 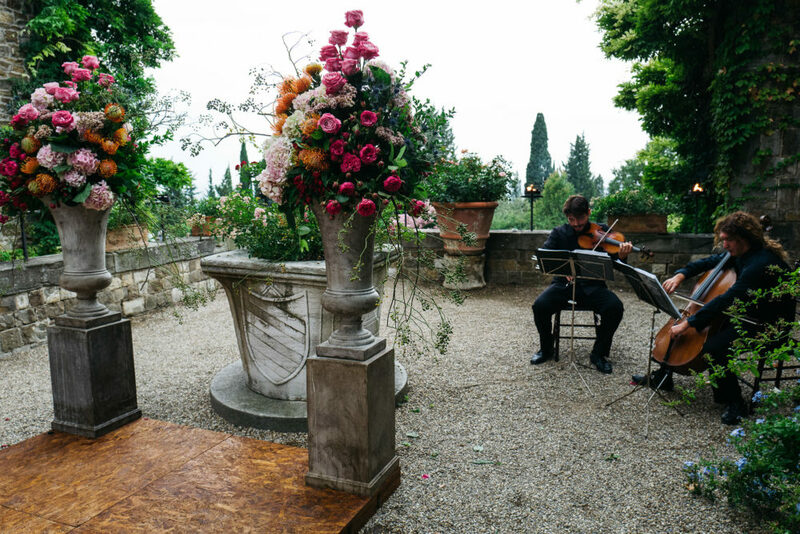 All arranged by the super talented Weddings in Tuscany with each area of the wedding looking as breathtaking as the next. 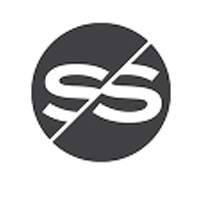 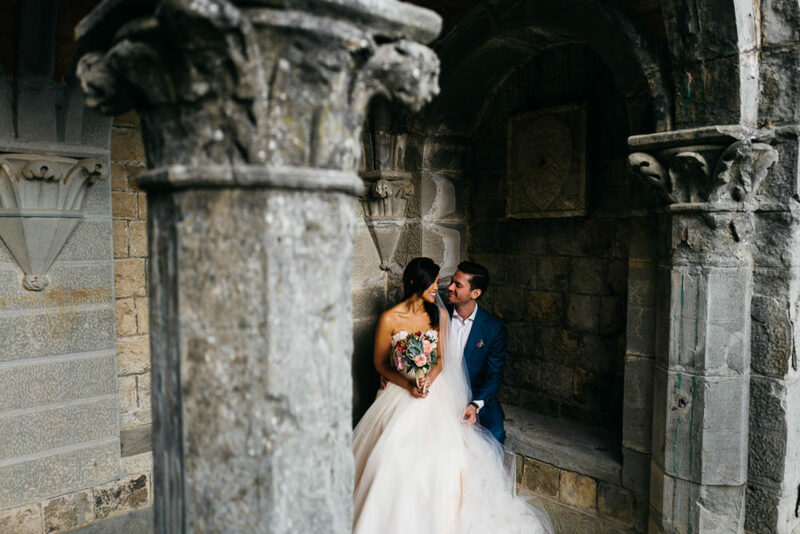 Talking of breathtaking have you seen the first look portraits captured by Stefano Santucci yet? 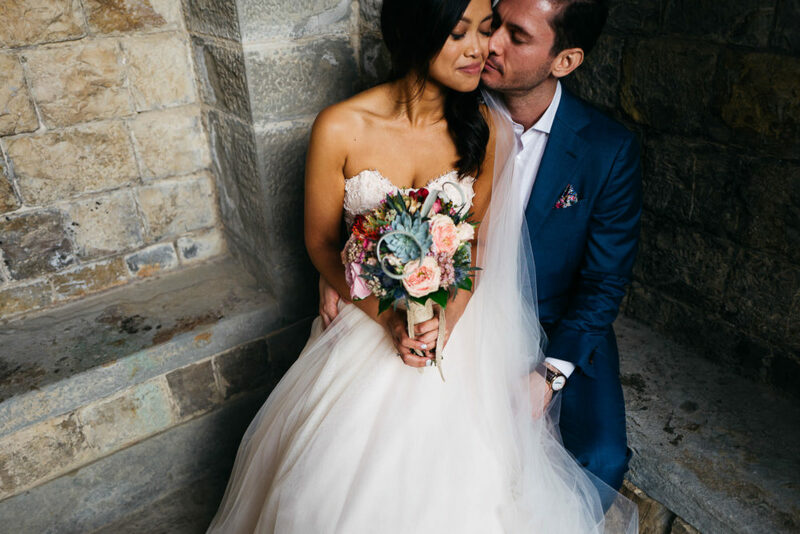 If your jaw doesn’t hit the floor I’ll be surprised. 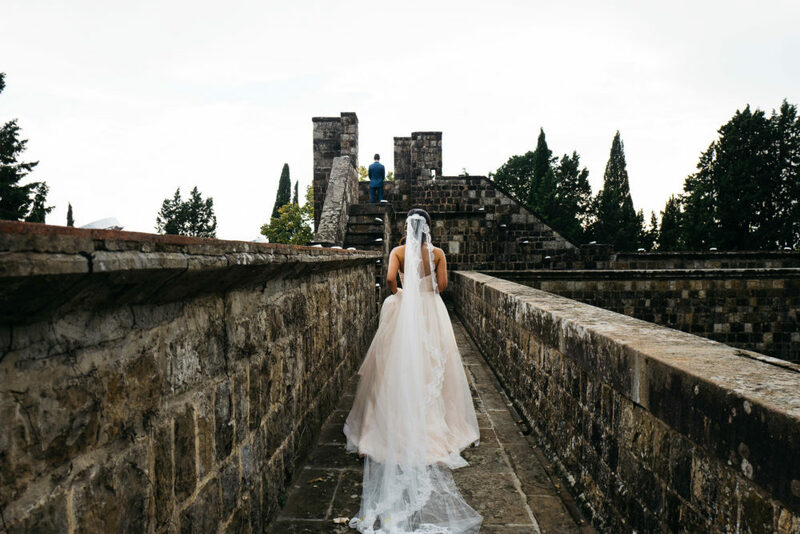 Not only does he captured Bride Julie’s magnificent Modern Trousseau ‘Eveline’ gown and veil to perfection, but he also captures some stunning angles of the castles parapet as the gorgeous couple meet. 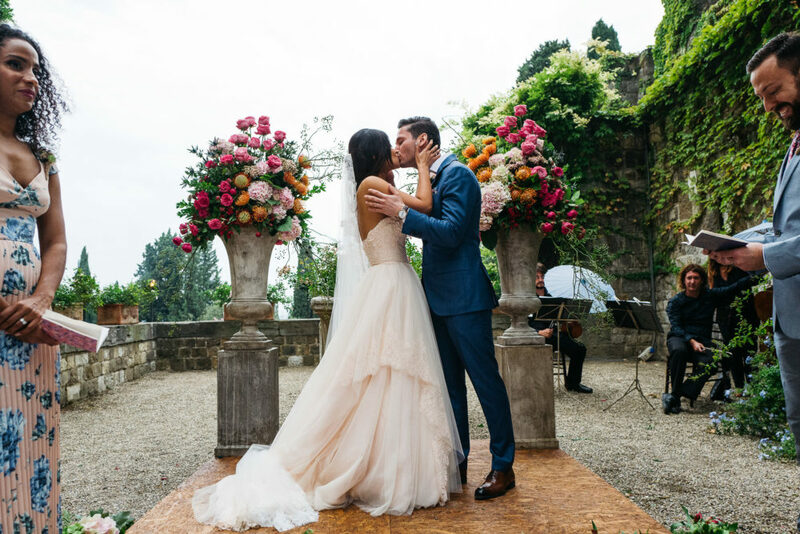 This Italian destination wedding screams sophistication. 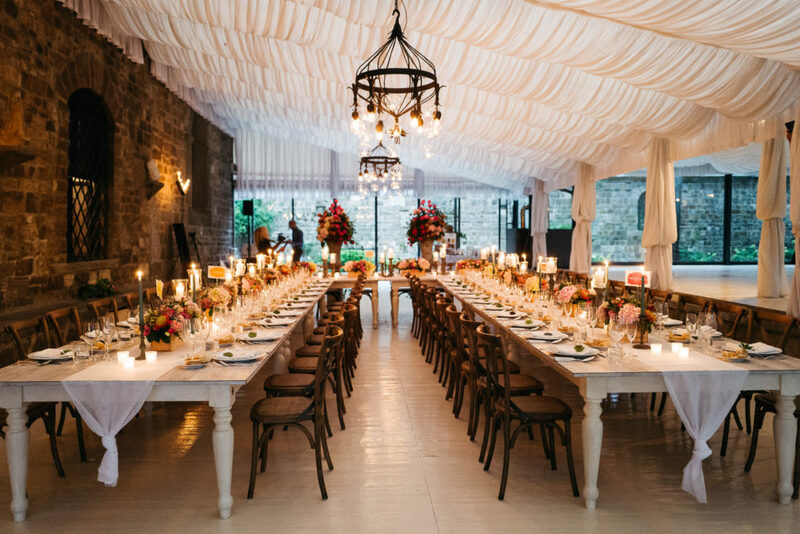 From the opulent peach and gold colour scheme to all the delicious decor and styling by Confetti a Colazione wedding planners, not to mention those breathtaking country views. 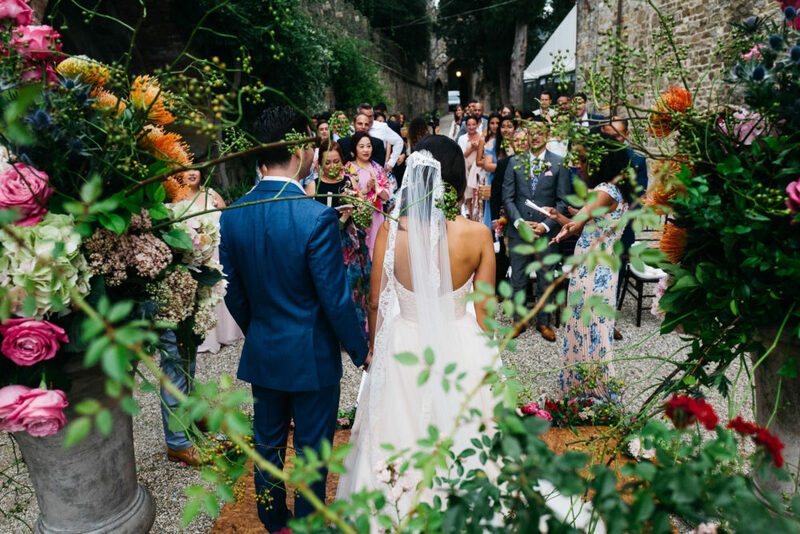 Paired with a stunning bride in a lace Luisa Beccaria gown, a ridiculously happy couple and guests, and you have a dreamy wedding captured by Stefano Santucci to pore over. 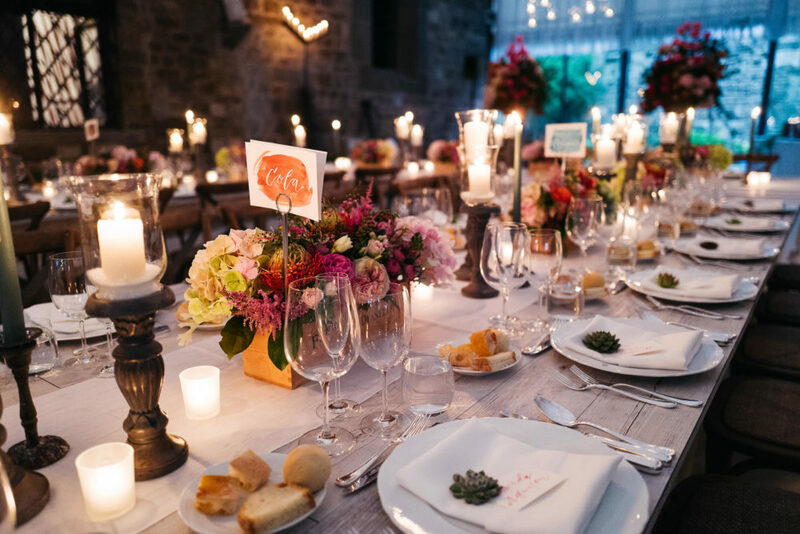 Did I mention the table scape is literally a work of art? 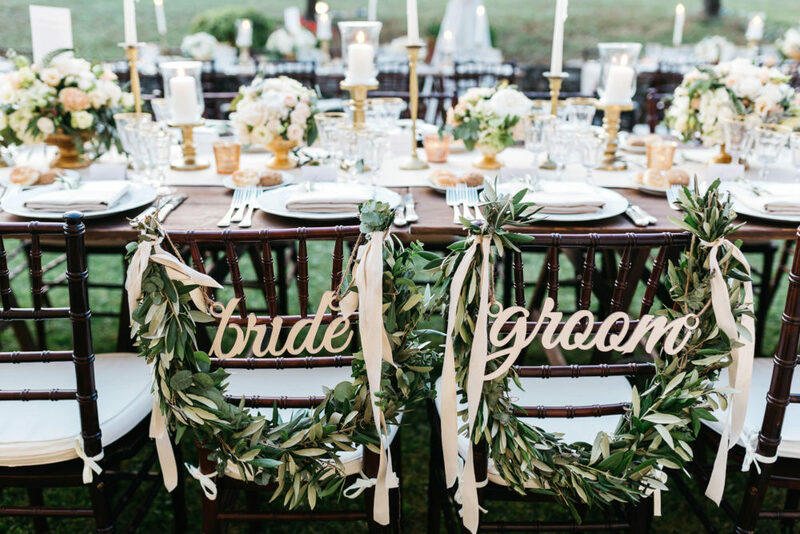 And you really need to see the rustic table plan. 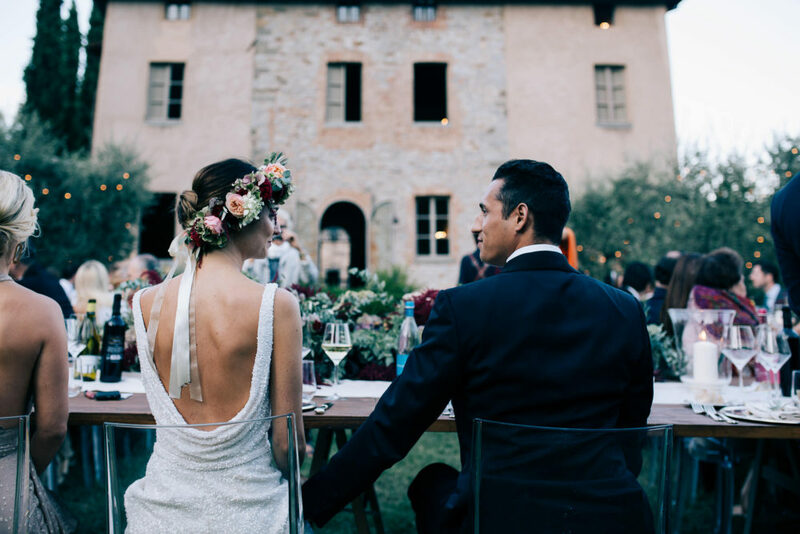 Pinning fingers at the ready… Lets begin.